Qualified from University College Cork in 1984 and has practised General Dentistry in the UK since then in Wallington, Surrey, Benfleet Essex. He joined Hockley Dental Surgery in 2003. In 2008 he began working as a clinical tutor at Southend Outreach, University of Essex. 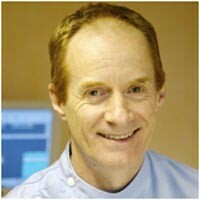 Enjoys all aspects of General Dentistry and employing the highest clinical standards in practice. He regularly attends postgraduate lectures and meetings. Having been seen by Mr O'Regan for many years now, I can happily say I would recommend. He is always very kind and considerate, and always explains everything to me. The surgery overall is excellent, and reception staff very friendly and helpful. I know it can be quite expensive, but the quality of the practice is superb. On a monthly plan, but as a pensioner find i am unable to meet the high cost of treatment. Michael is always courteous, pleasant and puts me at my ease. In 10 years of treatment he has been the gentlest dentist I can ever recall and his anaesthetics always work first time - something that other dentists don't always achieve. An excellent practice,service good,reception very friendly. Mr O'Reagan is a very understanding dentist and my hygienist Ms Hagon is very good. I hate going to the dentist but Mr O'Regan is always very quick and whilst it is not a pleasure, it could be a whole lot worse. Thanks. I have always had excellent service and been able to discuss my treatment in a friendly and informative way. My husband, son and I have received consistently excellent treatment from Dr O'Regan over the past few years since joining the practice. We find him professional, patient, charming, calm and kind. Together with Ross Hagan, the excellent and most thorough hygienist, he has provided a great service in preserving our gnashers! My treatment after check-up was uncomplicated - one small filling. Therefore there was nothing particularly complicated or demanding about what had to be done this time round. Dr.O'Regan was as professional, friendly and efficient as always and, ignoring as much as I can the fact that dental treatment will never be my favourite way of passing an hour or two, I look forward to our next encounter.